Electronic cajons have hit the music world with a bang as they open up a whole new range of sound possibilities, while also complementing the traditional sound of a cajon. I’m a big fan of Cajons. They are very popular instruments for street performing, playing small gigs and as a primary choice for many different musical styles. The cajon is an extremely versatile and portable instrument. You can get a surprising variety of acoustic sounds from these little boxes. However, their acoustic qualities alone are not always adequate for all musical styles. This is where some great new electronic cajon technology comes in. 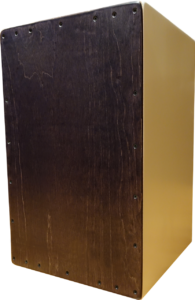 The Roland EC-10 EL Cajon – This is a full electronic cajon instrument made by Roland. It works as both an acoustic instrument with a great amount of electronic additions ready to go. 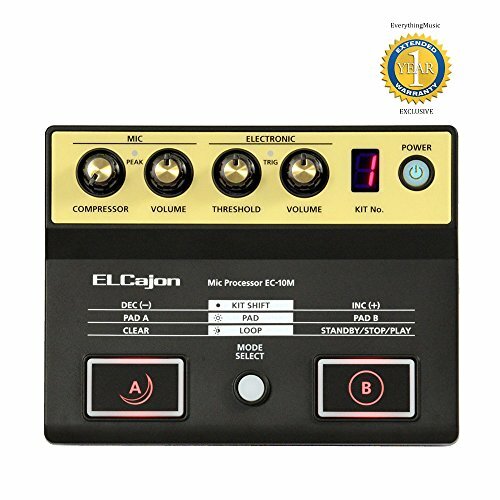 The Roland EL Cajon EC-10M Mic Processor – The mic processor is an option for you to adapt your current cajon into an electronic cajon. The cajon is a percussion instrument that originates from South America. The word cajon literally means a box or a crate, which precisely describes the shape of this instrument. It consists of four plywood sides and a hollow body. One of the sides is thinner, while the other three are a bit thicker. Every cajon has a hole at the back, which gives cajon players a chance to produce a variety of sounds. The player is sitting on the cajon while playing it. The playing patterns and the shape of this instrument haven’t changed for centuries. However, new electronic enhancements open up a whole new world of possibilities. The Roland EC-10 EL Cajon (EL stands for electronic layered) is a standalone instrument. For starters, it has a nicely manufactured body that produces very decent acoustic sounds even when played without the electronic enhancements. However, the electronic elements sound amazing. The Roland EC-10 EL Cajon comes with an integrated Roland sound module. 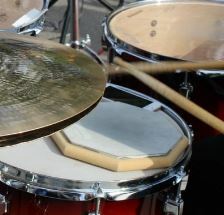 It provides players with a myriad of drumming sounds. This is an very handy option for live performances. 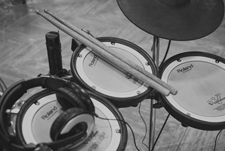 Imagine a drummer who needs to switch from tambourine to shaker, djembe or any other percussion instrument. With this electronic cajon, you just choose the desired sound. There are 30 different kits integrated into this electronic cajon. Apart from the sounds produced by the player on the spot, the Roland EC-10 EL Cajon offers a variety of sound effects. This makes it a great choice for bands that play electronic music. All the sounds and effects that you can create on this Roland cajon are enhanced by electronic add-ons. 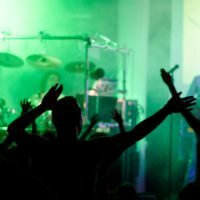 This enables you to generate a vast number of sound combinations, which makes this instrument perfect for all sorts of live gigs and concerts. Also, it comes with a built-in speaker, so it can be played completely on its own. 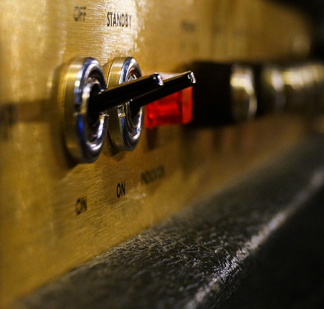 In case you need to produce a more powerful sound, you just place a microphone in front of its speaker. You can plug it into a power outlet for longer concerts, but it also has a battery, which is a great option for street gigs. This mic processor from Roland is a great way of adding electronic enhancements to the acoustic Cajon you already own. Using this processor will expand the number of playing options you have on the acoustic cajon. The Roland Mic Processor offers 16 playing kits, which can raise the sound possibilities of your cajon to a completely new level. This processor comes with an integrated looper. 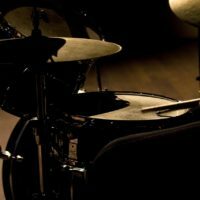 It’s a great feature for players who want to experiment with their cajons and cover their sounds with various layers of innovative tones and sounds. Also, you can clip a condenser microphone onto this processor. This addition will improve the quality of sound you get combining an acoustic cajon and the Roland EL-Cajon EC-10M Mic Processor. You can play different onboard sounds by pressing the foot pads. 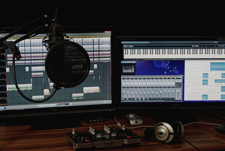 If you want to mix the sounds you play via a mono output, you can send the electronically layered sounds and the mic sounds in two separate ways. In addition to the footpads that come with this processor, you can get and connect additional footpads to it. For instance, a kick trigger pedal would be a great addition to your cajon set, especially for more demanding gigs. When it comes to gigs, you should know that the Roland Mic Processor can also be used as a battery-powered device. Four AAA batteries will suffice for up to 5 hours of playing. The cajon is usually 18” high, 12” wide and 12” deep. When a player sits on it, they have a fine ergonomic position that enables smooth drumming. As for the sounds, you can produce the bass sound by hitting the middle of the front part of the cajon. Moving from the middle to the top will give you higher and higher notes. If the middle part serves as the bass drum, the upper part of the front plank can be played as a snare drum. You can play the cajon with your hands, but some players also use drum sticks, brushes and mallets. The breakthrough of cajons to the global market has coincided with the increased popularity of world music. 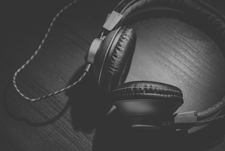 In the last thirty years, various music genres of Africa, the Caribbean and South America have become popular on a global scale. Since the cajon takes an important place in these music styles, they have become popular worldwide. As such, the basic role of cajons has changed. Many gig bands add cajons to their fleet of instruments, since they can sometimes replace a drum set. Its size and portability makes the cajon a perfect piece for street gigs. You can often see a guitar player and their cajon colleague playing in the street. Famous musicians and bands also make great use of the cajon in their concerts. Here you can see Bon Jovi playing “Something for the Pain”, accompanied by a cajon. Interested in getting your hands on an electronic drum set? Check out our electronic drum set reviews. I hope this article has answered your questions about the electronic cajon. If you currently own a cajon and are happy with its current acoustic qualities, then the EC-10M EL Mic Processor is well worth considering as an option. 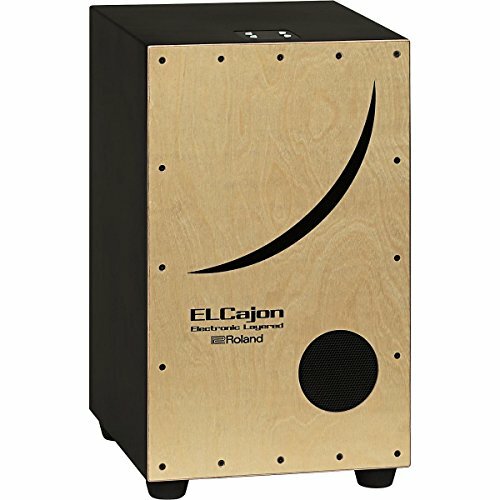 If you have yet to get into the world of cajons, then the Roland El Cajon is a great option. It works as both an acoustic instrument, along with some great electronic enhancements. So it can really scale with your level of playing. Lastly, playing a cajon is really fun. They are ultra portable and can allow you to practice your drumming and percussion from a totally different perspective. Have fun, and be sure to ask if you have any questions about electronic cajons.